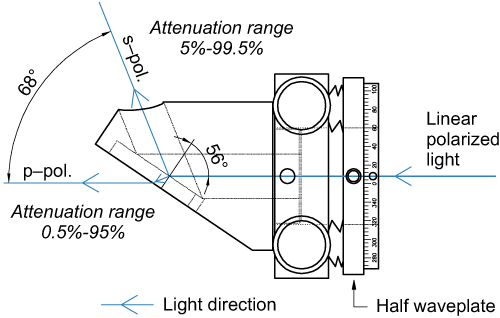 This variable attenuator/beamsplitter consists of special design opto-mechanical adapter for polarizer at 56° 840-0117A or 840-0118A and precision opto-mechanical holder 840-0197. Thin Film Brewster type polarizer, which reflect s-polarized light at 56° while transmitting p-polarized light, is housed into adapter for polarizer at 56°. Quartz Half Waveplates are housed in rotating holder 840-0197. 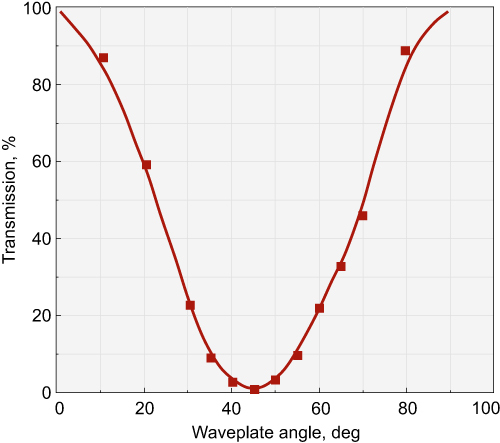 The intensity ratio of those two beams may be continuously varied without alteration of other beam parameters by rotating the waveplate. The intensity of either exit beam, or their intensity ratio, can be controlled over a wide dynamic range. P-polarization could be selected for maximum transmission, or high-purity s-polarization could be reflected when maximum attenuation of the transmitted beam takes place. 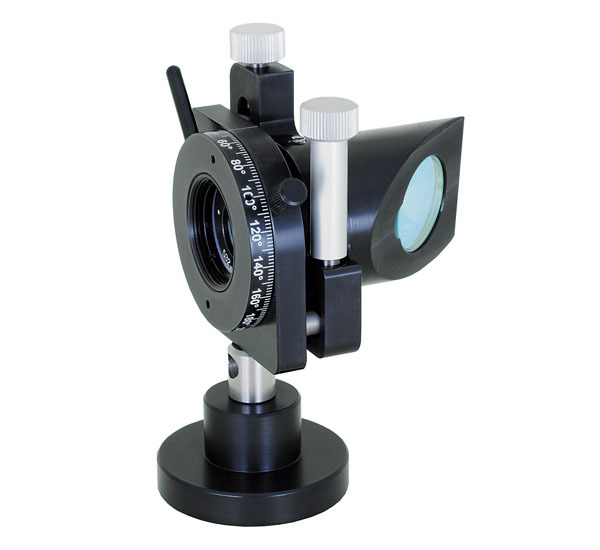 The holder 840-0197 allows to adjust Angle Of Incidence of the Thin Film Brewster type polarizer by ±2° and to get the maximum polarization contrast.